Cut & paste. Chill & chat. Do It Yourself & Do It Together. 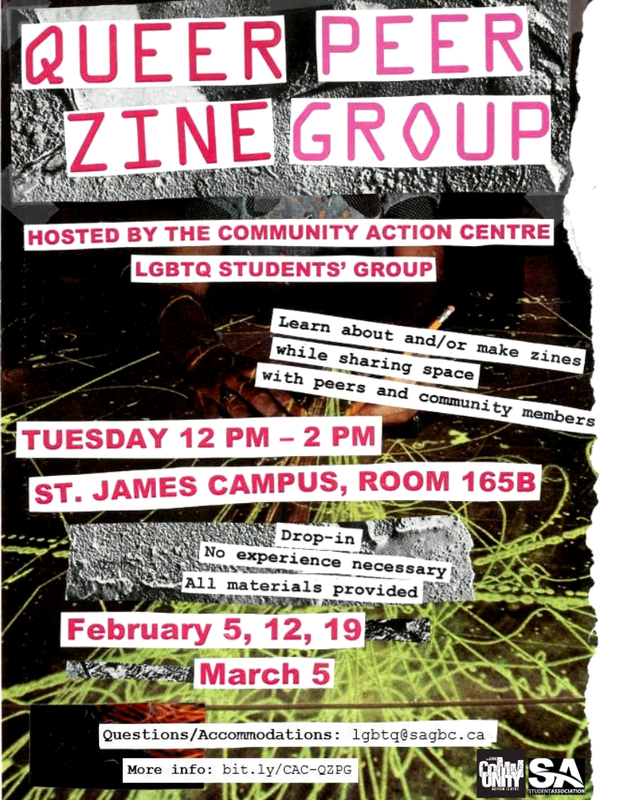 Group for LGBTQ+ folks to learn about/make zines alongside peers. With a different LGBTQ+ theme each week, you’ll have opportunity to make your own and group zines. Drop-in. Come to one/any/all weeks. Come for a bit or in full. “Do I have to be GOOD at art?” you ask? We wholeheartedly believe that whatever you create is valuable. We welcome all artistic expressions and abilities. There’s totally no pressure to make “good” art (whatever that means).